Here we go again. Another long season full of ups and downs ends with a trip for the Red Sox to the ultimate professional baseball tournament. No, it doesn’t get old. No, none of us in Red Sox Nation takes this for granted. Every season is like a separate lifetime — yes, we won the World Series in previous lifetimes (2004, 2007) but this feeling of anticipation, while vaguely familiar, is always fresh and new. The leaves are changing, it’s October again. Back to school night, it’s October again. Pumpkins on neighbors’ front steps, it’s October again. The Red Sox carry millions of the Nation’s hearts with them into the American League Division Series, it’s October again. Which players will surprise us with their heroics? Will Lowrie hit .450 in the postseason? Will Casey get a huge pinch hit? Will Kotsay make a game-saving catch? Will Ortiz continue to be the greatest clutch hitter in history? Will Masterson throw 10 scoreless playoff innings? Will Coco Crisp steal a base that we’ll compare to the Dave Roberts theft of 2004? Will Beckett be Beckett? This much we know — winning the World Series will require some “unlikely” heroes, a-la Dave Roberts and Mark Bellhorn in 2004, and Jacoby Ellsbury and J.D. Drew in 2007. Who will step up this year? I can’t wait to find out. 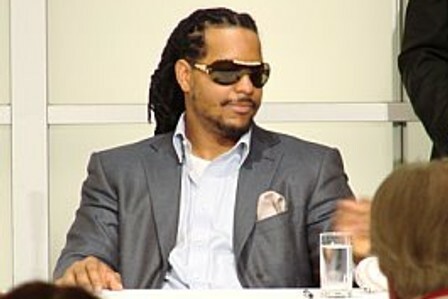 The last two championship teams had future hall of famers Manny Ramirez and Curt Schilling. Will we miss them? Time will tell if there’s enough magic in the bats, gloves, and arms of the current roster to carry on the tradition of winning that Manny and Schill helped to instill here. Perhaps Jon Lester and Jason Bay are at the front-end of postseason careers that will, in the end, compare to those of Ramirez and Schilling. Does that sound crazy? Well, it should. But hey, anything is possible, even the impossible. It’s October again. Green Bay Packers tradition. Kinship with the NFL’s most storied fans. Going out on top of his game. Legacies. Brett Favre left this all behind. Because in the end, these are not what Brett Favre is all about. In the end, these ideals are created by the media. In the end, none of these things are what fuels Brett Favre’s engine. In the end, football is a game, and Brett Favre is a kid who loves to play. That’s it. He loves to play. Don’t you love that about him? I do. I can relate. 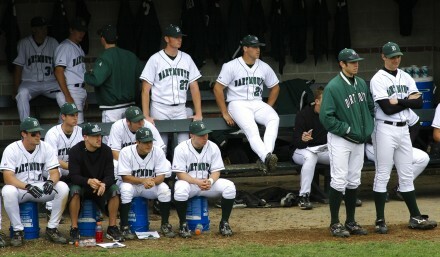 I remember failing to make the cut for Dartmouth College’s varsity baseball team for the third year in a row at the beginning of my junior year and realizing, “That’s it, I’ll never make varsity now, my baseball-playing life is over.” Everyone knew the Junior Varsity program was for freshmen and sophomores, so I didn’t even consider playing baseball that spring. Other players in the baseball program would have looked at me funny. “Don’t you get it, Crawford?” they would have asked. “They’re sending you a message. You and your 80 mph fastball are not varsity material. There’s no point in playing anymore. The dream is dead. Just walk away.” And that’s what I did. But the following winter, I realized that I had let my obsessive goal of “making varsity” mask the real reason I play baseball – because I love to play. That’s it. I love to play. So senior year, I dug my cleats out of the closet and went out for the baseball team again. The Packers’ offer to Favre of $20m to “stay retired” was doomed from the start. A person’s heart can’t be bought out. Favre’s motivation for playing football this year was “love for the game,” not another fat paycheck. I started writing a letter to Favre warning him that if he took the $20m, he’d wake up the next morning with the same itch to play, and he’d beg the Packers to take back their bribe. I guess he figured this out on his own. 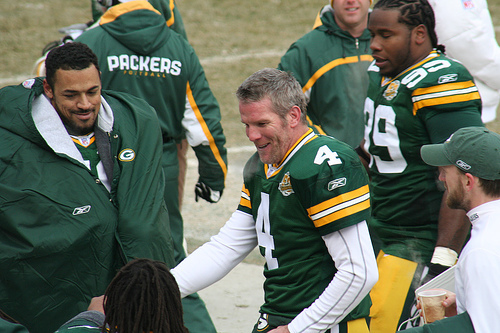 The sports fan public said to Favre, “Don’t you get it, Brett? The Packers are sending you a message. You’re no longer the guy they want to lead their team. You’re 38, you’ve broken all the records, you have your Super Bowl ring. You have one of the greatest single-team legacies in the history of sports. There’s no point in playing anymore. Just walk away. The Packers coaches looked at him funny. The other players talked about him behind his back. But Favre’s heart could not be contained. He knows what makes him happy: playing quarterback in the NFL and striving to win games. It’s not about being a Packer. It’s about competing. That’s who he is. That’s what he does. Yes, Favre’s will to play is even greater than his desire to sustain his priceless identity as…. Brett Favre. But he’s cultivating a new identity that’s even more appealing. His brand is no longer, “Legendary starting quarterback for the Green Bay Packers,” it’s “No one has more passion for playing.” Don’t you love that about him? I do. If he thinks this trade will help the Red Sox win another World Series ring, then I guess it really is time for Manny to go. That said, it’s hard to fathom that the Boston Red Sox just let one of the greatest right-handed hitters of all time — a guy who helped the team win two World Series rings — walk out the door in the middle of a pennant race. The Yankees love this trade. Their fear of the Red Sox vanished at 4:20pm yesterday. Oh, and Joe Torre went to bed last night with a BIG smile on his face. I am a fan. I am an emotional fan who loves Manny’s joyful, teddy bear personality, his majestic presence in the on-deck circle and batter’s box, and the way he wrecks pitches in the strike zone. I acknowledge that he was not the perfect competitor during his years in a Red Sox uniform. His jogging to first base sometimes drove me crazy. But in the same way a parent keeps loving his kids no matter what they do, nothing Manny ever did or said made me dislike the guy. It wasn’t blind affection. It was eyes-wide-open appreciation for a marvelous player I “knew” better than any other. I will miss Manny and I will root for him as a Dodger. I hope he finds peace in L.A. and that this trade ends up being a great thing for him and his family. 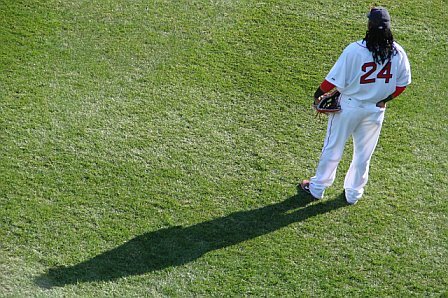 Time to turn the page on the Manny years, one of the most amazing chapters we’ve ever experienced in Red Sox Nation. It’s Jason Bay time. The 2008 World Series MVP. I’ve taught middle school and coached a total of about 30 youth sports teams over the years, and I know where Paul W. is coming from. Yes, in ONE obvious way, Manny’s approach to the game of baseball is not what I would teach my young players. His obvious flaw is that, frequently (but not always), he fails to sprint down the first base line as soon as he has hit the ball. Sometimes, he hangs out in the batter’s box and admires the ball he has just hit, and sometimes he runs at less than 100%. This isn’t OK in the majors, but it’s a cardinal sin in little league. (I know that Paul W. is also referring to Manny’s alleged lack of “team spirit,” but no matter how confident sportswriters and fans are about the details of this most recent story about Manny’s knee, we don’t know the whole story). Yup, Manny loafs sometimes. Yup, that can be maddening and costly. 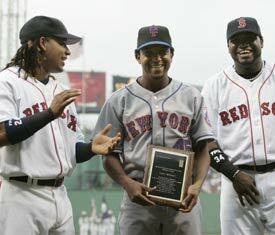 However, in many ways, Manny sets a positive example for young baseball players. Here’s what I would say to players on my youth baseball teams about what to emulate about Manny Ramirez. 1. He approaches every at-bat with a clear mind. Manny’s not thinking about his last plate appearance and he’s not thinking about his latest gaffe in the field. He’s not even thinking about his contract and what his agent, Scott Boras, wants him to do. No, Manny leaves that all behind when he strides towards the batter’s box. He’s in his own MannyZone, and he’s thinking about two things: seeing a strike, and hammering it. Even with two strikes, Manny’s focus is unbelievable. 2. He expects to get a hit, every at-bat. The way Manny walks to the plate with an air of self-confidence, settles into the batter’s box, taps the plate with his bat, assumes his regal batting stance, and stares out at the pitcher… everyone in the park knows he’s already envisioned the line drive that he’s about to smash. This summer, my co-coaches and I taught our eight year-old players to chant the words, “I crush balls in the strike zone,” while standing in the on-deck circle and stepping into the batter’s box. Why? We were teaching them to think like Manny. 3. When he strikes out or grounds into a double play, Manny immediately puts the failure behind him and moves on. No frustration, no cursing himself or the baseball gods, no wasting emotional energy on “what-ifs.” (Maybe this is why Youk and Manny don’t get along.) Manny just accepts his fate, takes a seat, and starts preparing for his next at-bat. Sometimes his lack of frustration is interpreted as a lack of intensity or competitiveness, but anger just doesn’t work for Manny – and anger and frustration don’t work too well for kids, either. The play is over, now move on in as positive a state of mind as you can. That’s Manny. 4. Manny plays baseball joyfully. Just about every little league coach in the land tells kids, “Have fun out there!” But do they really mean it? The truth is, it’s simply not O.K. in our U.S. athletic culture to appear to be having fun in certain game situations. Manny is happy all the time, whether the team is winning or losing, whether he’s just hit a grand slam or grounded into a double play, whether he’s benched or facing a 3-2 pitch in a clutch situation, whether the media is writing character-puncturing articles about him or cozying up to him for “being Manny.” As a coach, I really DO want my players to have fun playing baseball, and Manny’s a tremendous role model in this way. Now is Manny a perfect role model for young baseball players? No. And neither am I, and neither are you. I would tell little leaguers, “Manny does some things badly, and some things exceptionally well. Let’s learn from what he does well.” Over the last decade, the closest MLB has come to a flawless role model has been Ironman Cal Ripken. Great leader, great worker, played hard, played hurt. But to create an ideal role model for young players, I’d want to combine Cal with Manny. Mix Cal’s determination and toughness with Manny’s jubilant, expectant frame of mind, and you have a powerful, positive role model. My idea about what to DO with Manny (keep him, or trade him? ): Pick up his option for 2009 and tell him we’re NOT picking it up for 2010. Get one more productive year out of him at $20M and ensure his self-motivation by guaranteeing him free agency in 2010. I love Manny and don’t want to lose him, but his age (and the physical decline that inevitably comes with age, unless you are Roger Clemens) worries me. Well, I certainly don’t speak for Red Sox Nation, but as the VP of RSN, I have two reactions to this whole Manny situation. 1. We can believe that Manny is telling the truth about his knee, or we can believe that he’s lying about it (or exaggerating). Either way, none of us knows whether his knee is truly hurt or not, so we might as well TRUST Manny. Why? For the simple reason that there is no good that can come from doubting him. And even if his knee isn’t sore enough to miss a game, the guy obviously has SOME reason that he needs a day off, a reason big enough to ask for a day to recover (and possibly even lie about an injury), so let’s just give him his day off and move on. We’d rather not play him anyway if he’s not feeling motivated and can’t get motivated. There’s no point in doubting Manny, and since the only data we have is his word, we might as well trust that. 2. Hello, sportswriters, team ownership, front office, and Red Sox Nation, is this whole “I need a day off” stuff from Manny really still surprising you? Did you think that Manny would suddenly undergo a metamorphosis this season and beg to play 162 games? Why haven’t we gotten over the outrage at this point and just accepted him as “Our Manny” and saved ourselves from the bother of getting angry every time he acts like…. Manny. There’s a code of athletic conduct that I grew up with, and that’s part of the culture of U.S. professional sports, that says, “The team is the most important thing,” and “When you’re hurt, you play anyway, dammit.” But guess what? Manny didn’t learn this code in his childhood, and it hasn’t grown on him during his years in the Big Leagues. He’s a different animal. Way different. We all know this about him. So why do we keep driving ourselves crazy by getting mad at him? It’s sort of like getting mad at a two year-old for drawing on the walls with a crayon. That’s what two year-olds do. All of them. And that will never change. Of course, the difference between Manny and two year-olds is, two year-olds learn to modify their behavior to comply with society’s norms. Manny never will. He’s a grown-up now, this is who he is. But please also keep in mind that the very personality flaws that some of us find so frustrating in Manny also contribute to his greatness. There’s never been a more carefree, happy-go-lucky player, and I believe that that state of mind is a big reason why he’s so cool under pressure. Two strikes, two outs, down by a run in the bottom of the ninth with a runner on second? The whole stadium might be freaking out, but not Manny, he’s just chilling out in the batter’s box, looking for a pitch he can drive. And we all know, he’s better at this than 95% of all Major Leaguers. Am I excusing Manny’s occasionally bizarre behavior just because he’s a Hall of Fame hitter? No. But Manny is a complex package, and after eight years with the guy, it’s a package we should all know well: Manny drives in runs. 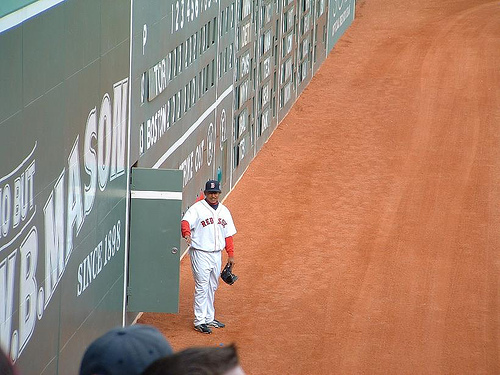 In the outfield, Manny waves to fans between every pitch. Manny demands days off regardless of the game’s importance. Manny strikes fear into every pitcher he faces. Manny enjoys himself all the time, even when he’s just made a huge error. 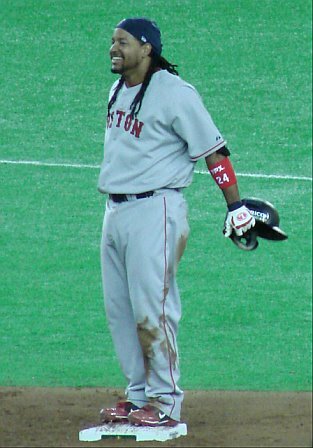 Manny stands at home plate to admire his home runs. Manny sells grills on e-Bay. Manny is always among the league leaders in outfield assists. Manny rarely breaks a sweat running to first base. Manny doesn’t talk to the media, and when he does, he says the “wrong” thing. Manny is one of the greatest right-handed hitters of all-time. I’m Vice President of Red Sox Nation, and I love the New York Yankees. Are you a Red Sox fan who’s shocked by this statement? Guess what, you love them, too. In fact, the longer you’ve been a Red Sox fan, the greater your love is for them. Close your eyes for a moment and imagine a world without the Yankees. 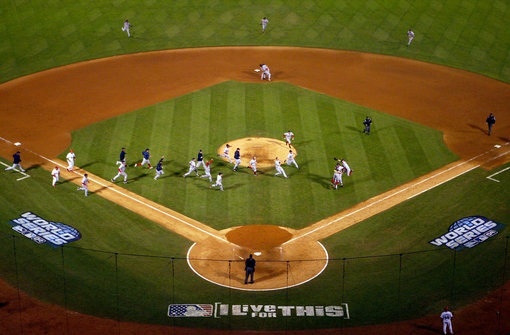 Imagine there’s no rivalry between the Boston and New York baseball teams; in fact, there’s no legitimate “rivalry” between the Red Sox and any other team. 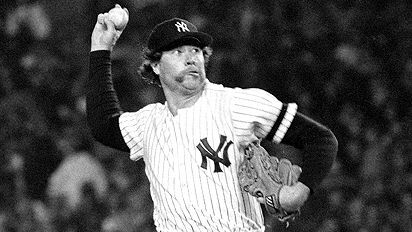 Goose Gossage was never a nemesis and David Ortiz never hit those dramatic walk-off homers. Mariano Rivera played for the Reds so we hardly knew him, and George Steinbrenner owned the Phillies so his name merely rings a bell. 1978 never happened, but neither did 2004. Do you find this vision enticing? Nah. Like me, you appreciate the way things have turned out so far (the painful times made the jubilant times more jubilant), and you’re dying of anticipation as you think ahead to future seasons of the greatest rivalry in all of sports. You’ll never root for the Yanks, but you’ll be happiest when they’re a top-notch team that buys whatever superstar they want…. then loses to the Red Sox in games that really count. And you’ll give Derek Jeter a “standing-O” in his last at-bat at Fenway Park because, like me, you deeply appreciate what he has contributed to your enjoyment of The Game – as a Yankee. To read the article from Sox and Pinstripes in its entirety, click here.